http://taketheleadballroom.com | The leader in Ballroom dancing! http://taketheleadballroom.com – The leader in Ballroom dancing! BRAND NEW LEAD AND FOLLOW CLASS STARTING WEDNESDAY, DECEMBER 3RD AT 7:00PM. ONLY 3 WEEKS, $33 PP. COUPLES AND SINGLES WELCOME. RSVP SOON PLEASE! 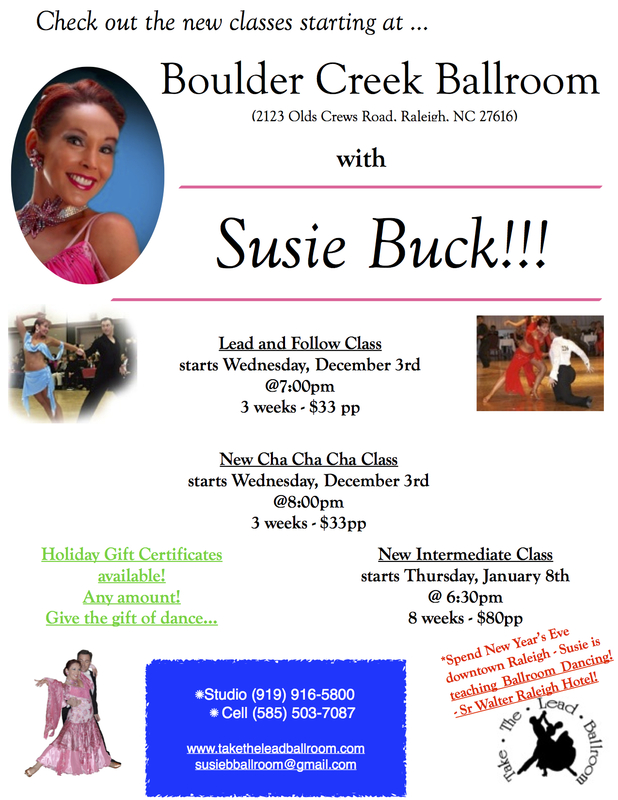 New Lead and Follow Class and New American Cha Cha Cha Class starting Wednesday, December 3rd! Previous PostNew December Classes!Next PostJanuary 2015 Class Schedule!